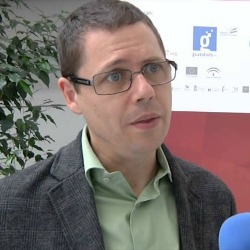 Gabriel Rissola brings to Telecentre-Europe 24 years of extensive international experience in digital inclusion projects. With a long-lasting interest in the development of telecentres as engines of learning, empowerment and social change, Gabriel always looked for the opportunities to put technology at the service of people. After a decade devoted to the Internet industry (where he was an entrepreneur both in the online media and learning sub-industries) Gabriel started to run action-research projects with a policy perspective, becoming expert in fund-raising and project management of transnational initiatives, always around the topic of ICT for learning and empowerment.